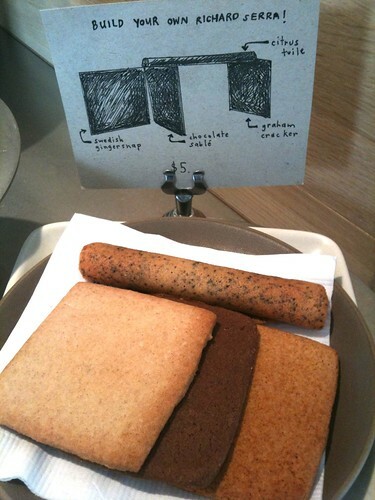 At the San Francisco Museum of Modern Art yesterday, I came across a series of clever artist-themed desserts offered at the SFMOMA’s Rooftop Coffee Bar. 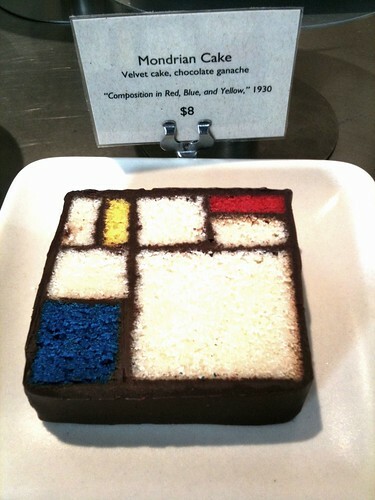 There were many on offer, but these three were my favorites: Mondrian Cake, Richard Serra Cookies, and Jeff Koons White Hot Chocolate. 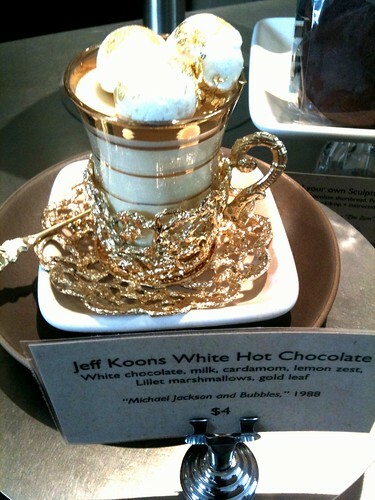 Delicious and brilliant!